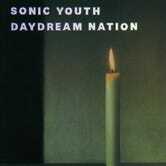 Sonic Youth released its greatest record, Daydream Nation, 25 years ago in October 1988. And even after all of those years, the Led Zeppelin reference in the album's art is still puzzling. The record's packaging is best known for its burning candle cover, but elsewhere on the record (the location depends on the edition and format), the band included four cryptic symbols intended to represent the four members of the band. 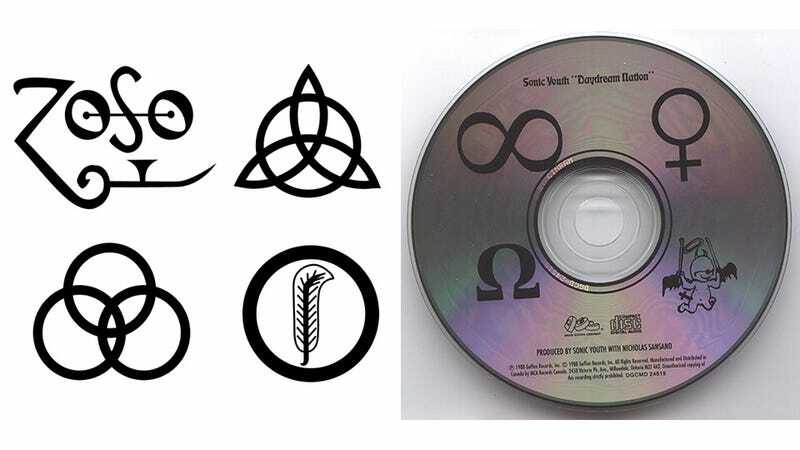 Most people agree that far from an off-hand gesture, the symbols are supposedly a reference to the icons representing Page, Jones, Bonham and Plant on 1971's Led Zeppelin IV. And that's just a little odd, because IV is the kind of gaudy, macho music that Daydream Nation was trying to get away from. I won't try to reduce Daydream Nation to a single phrase, but suffice it to say that noisy and arty has never been done so well again. In his review of the record, legendary critic Robert Christgau immediately sensed that it was a "historical juncture." It was a moment when the kind of rock music young people were making was about to change. Alternative rock was about to get huge, and it would usher in the age of manufactured, radio ready rock. Daydream Nation was a line in the sand. To use less elegant language than Christgau, the record was a very well-considered and perfectly executed middle finger to a great majority of the stadium-filling musicians that came before Sonic Youth. Their hubris had made all the garbage possible. The album's only single, Teen Age Riot (Spotify/iTunes/Amazon), is an exuberant seven-minute march that would have had a serious chance on the the radio if it weren't just slightly too unhinged for Top 4o sensibilities, and more importantly, too long for a radio jockey's patience. It is more than possible to spill serious academic inkon the question of the symbols, and how they're homage, and parody, and meaningless all at the same time. I just want to know: Did Sonic Youth hate Zeppelin or not?